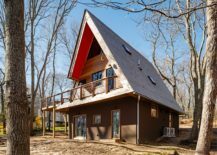 The A-frame roof is one of the oldest styles of building construction, often used in outhouses, farm labourer cottages and other such dwellings. 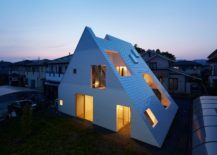 Nowadays, the A-frame is “back in vogue and pointier than ever”, according to online design and architecture magazine Dezeen (“10 houses featuring excessively steep gable roofs,” 2016). 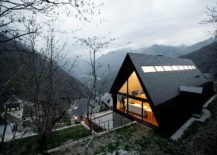 ‘House at the Pyrenees’ in Spain’s Aran Valley. 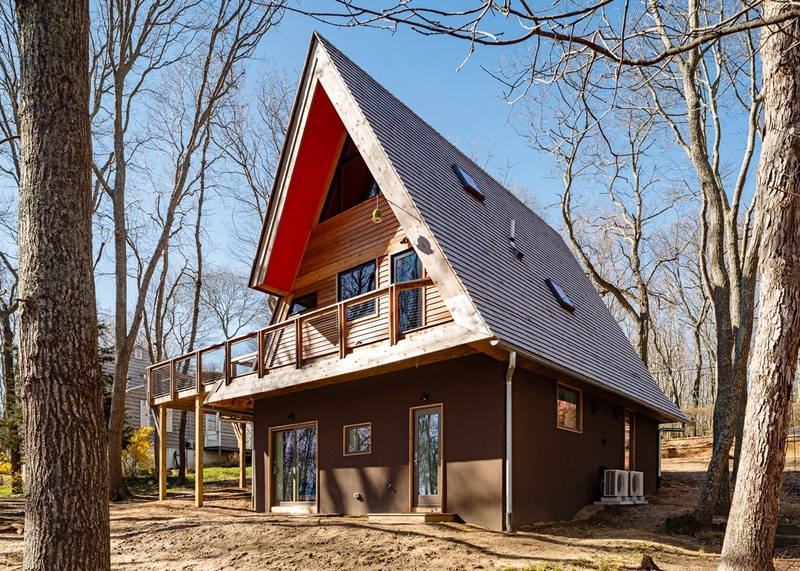 An A-frame roof is steeply angled on both sides and will typically begin at, or close to, the base of a building, meeting at the pinnacle in the form of a letter “A”. 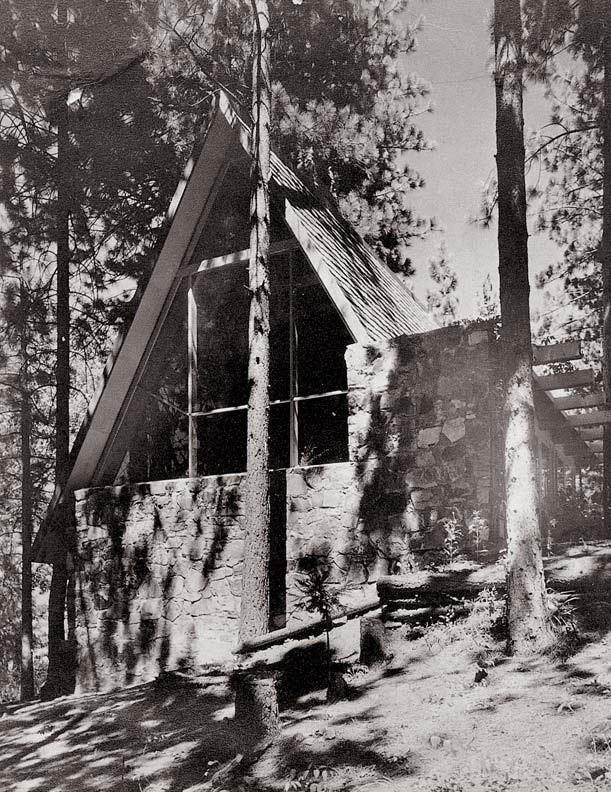 A mid-1930s example of the A-frame can be found in Austrian-born architect Rudolph Schindler’s cabin at Lake Arrowhead in California, designed for his client Gisela Bennati. 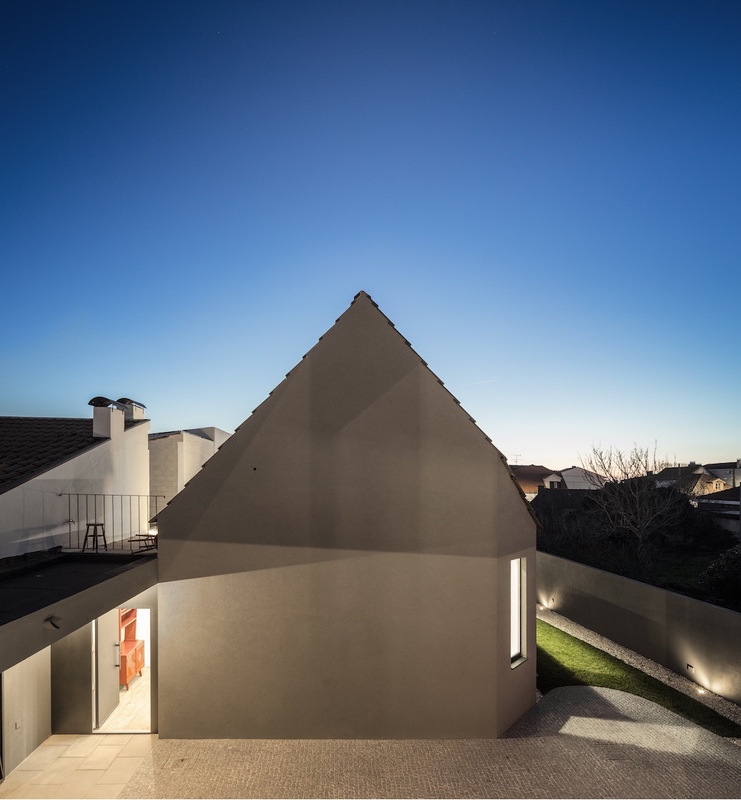 Regulations in the local area specified a Normandy style of construction, and thus Schindler “carried the roof down to the ground and filled both gables with glass” (Craven, n.d.). Ahead of its time, this approach by Schindler introduced a new way of thinking about housing design. Rudolph Schindler’s 1934 Gisela Bennati House is one of the first publicly known “all-roof” vacation homes in the USA. Photo: R.M. 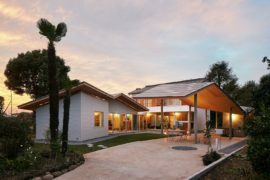 Schindler Collection, Architecture and Art Collection, University of California-Santa Barbara/Princeton Architectural Press via Old House Online. It was in a postwar era that the A-frame house would become a popular choice of American vacation home, enjoying a boom period in the 1950s: “the embodiment of contemporary geometric invention, [the A-frame house] was a place to hide out or a place to show off… the A-frame was different with an individuality that suggested relaxation and escape from the workaday world” (Randl, 2004). 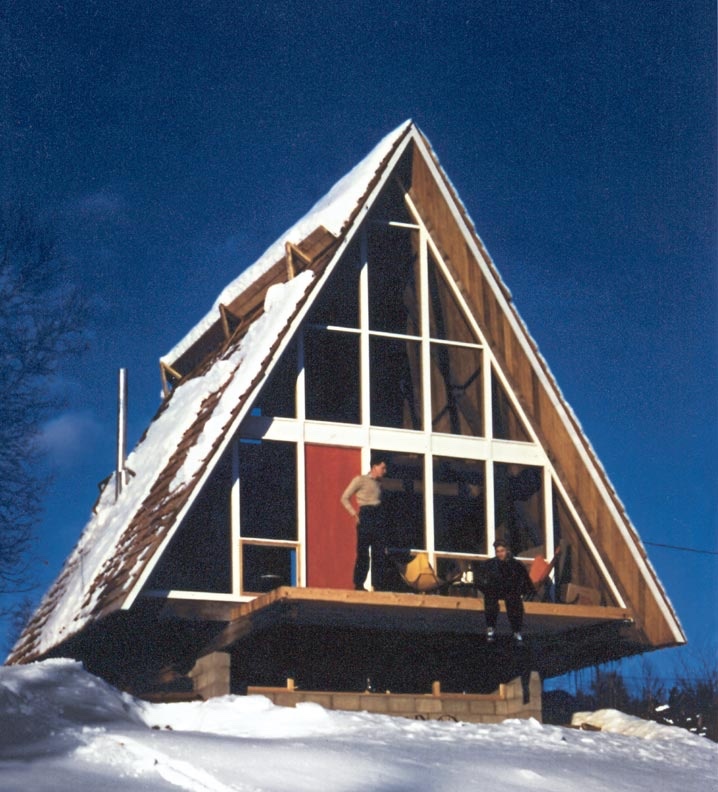 In 1953, Henrik Bull designed this two-story A-frame in Stowe, Vermont, possibly the first in the area. 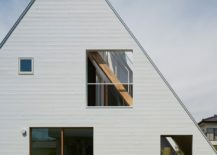 Photo: Henrik Bull/Princeton Architectural Press via Old House Online. 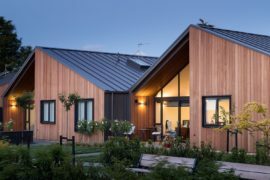 A perfect vacation-style home, in many ways the A-frame blurs the distinction between outdoors and indoors, and enjoys a certain kindred spirit with nature. 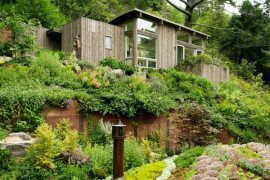 Moreover, many A-frames and homes with steep roofs possess a certain fairytale-like mien. 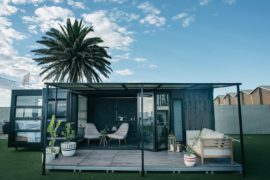 As is par for the course in architecture, the A-frame fell out of favour in the early 1970s: tastes were changing and people preferred more sizeable spaces, such as larger condominium-style homes. 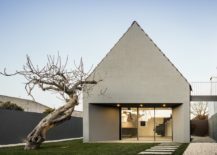 Still, as is also par for the course in architecture, one-time fashionable styles find a renewed popularity with architects and the public, hence the return of the erstwhile A-frame and the steeply pointed roof. 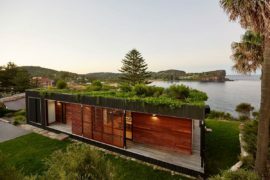 The following homes are examples of dwellings designed with smart steeply-pitched roofs. 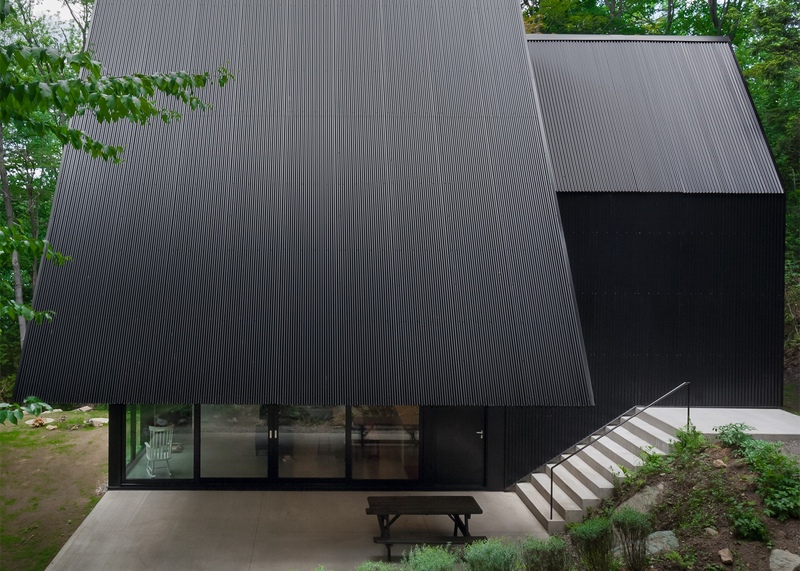 This house in Japan’s Tochigi Prefecture was designed by Suppose Design Office. 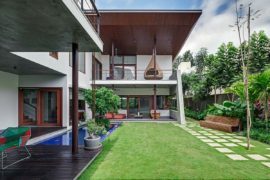 Several cleverly positioned cutaways in the steep roof allow light to filter through to the terrace and interior spaces. The effect is both sharp and clean. 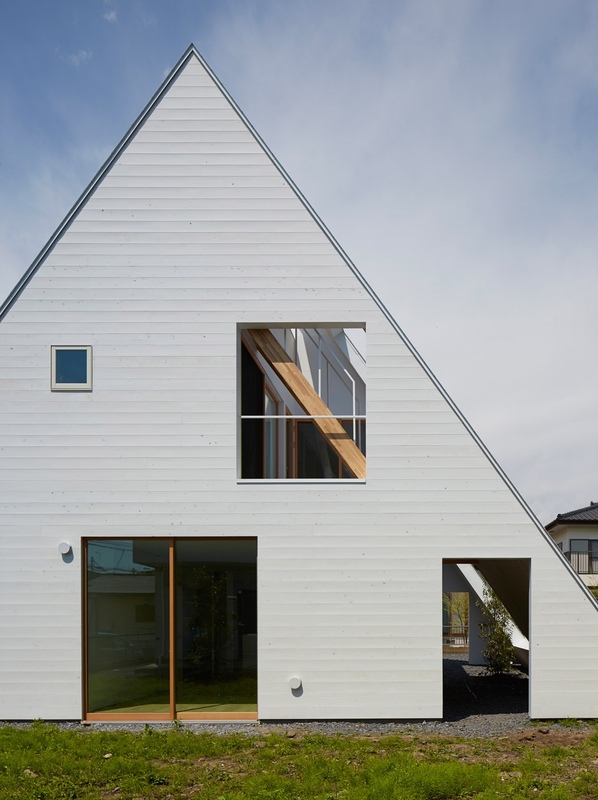 House in Utsunomiya, Tochigi Prefecture, Japan. Photos by Toshiyuki Yano via Dezeen. 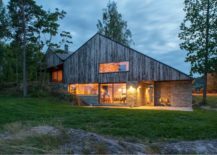 Kaggeboda, a barn-like dwelling in Norrtälje, Sweden, was designed by Kolman Boye Architects. 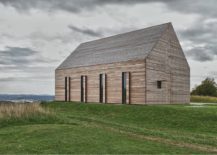 Image © 2013 Kolman Boye Architects. 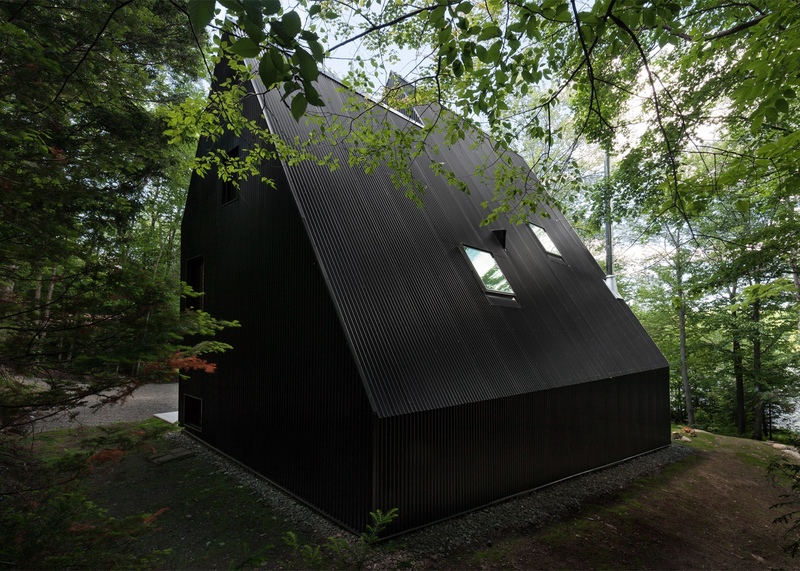 This cabin in rural Quebec was designed by Canadian architect Jean Verville. 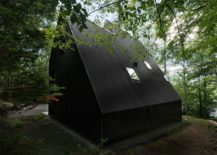 With its hooded roof, this modern-day cabin in the woods has an enchanting fairytale-like aspect. 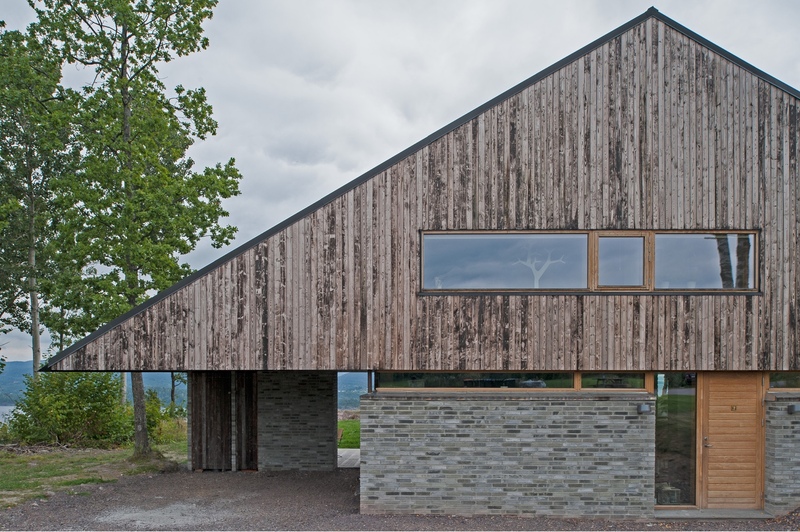 House Off/Ramberg in Holmestrand, Norway, designed by Schjelderup Trondahl Architects AS. 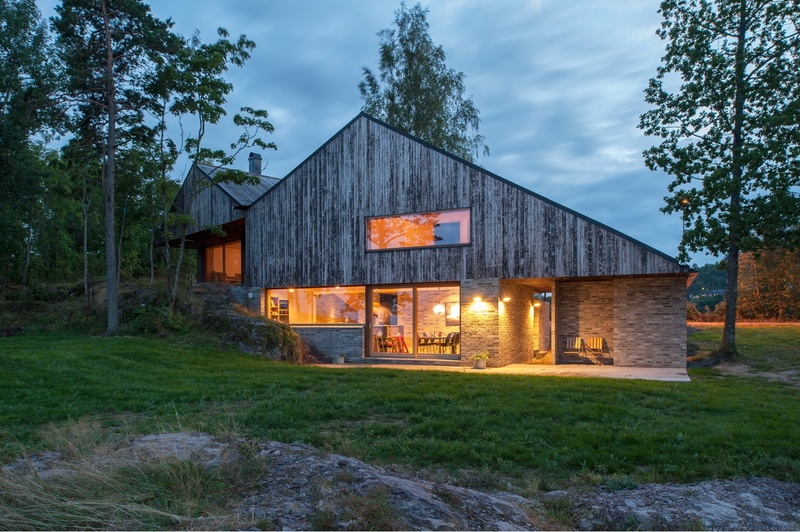 House Off/Ramberg in Holmestrand, Norway. 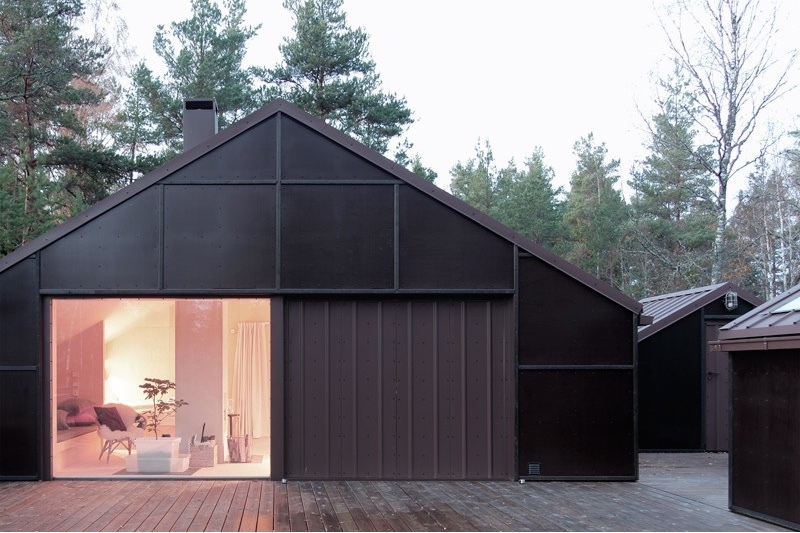 Photos by Jonas Adolfsen via ArchDaily. 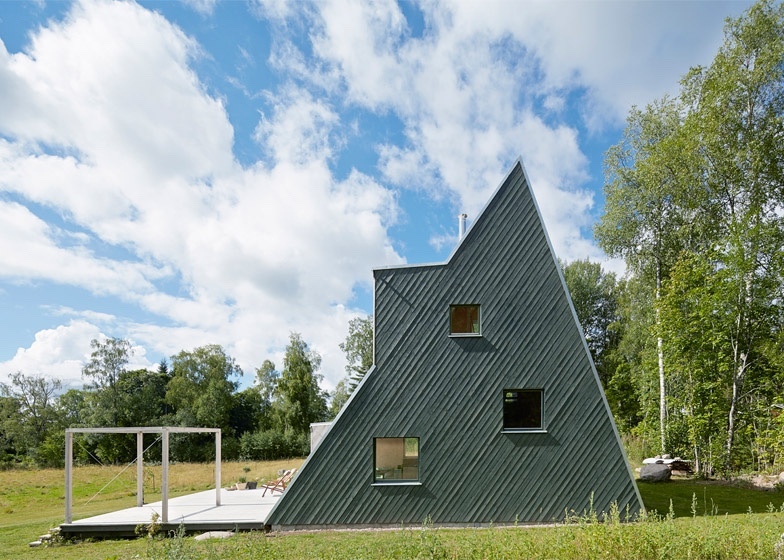 The Triangle House is a skilfully renovated original A-frame home. 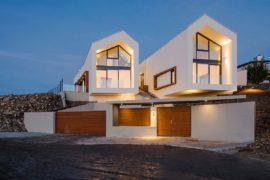 Located on Long Island, it was modernised by Architect Edgar Papazian of New York studio Doon Architecture. 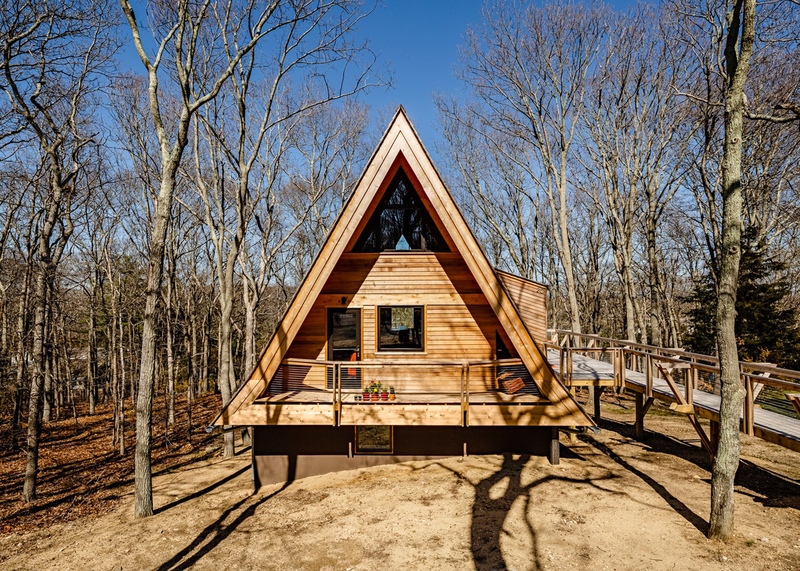 Triangle House on Long Island. 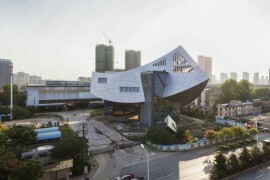 Photos by Lincoln Barbour via Dezeen. 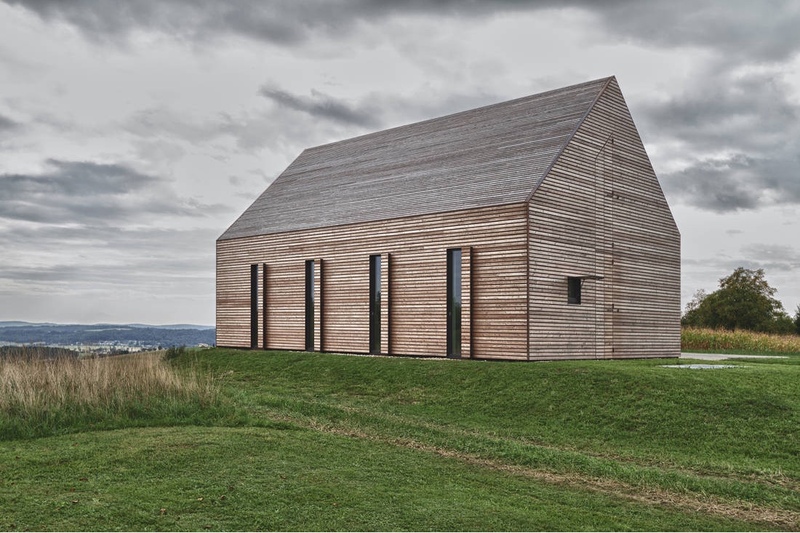 This summer house in Southern Burgenland, Austria, was designed by Judith Benzer Architektur. In perfect profile. 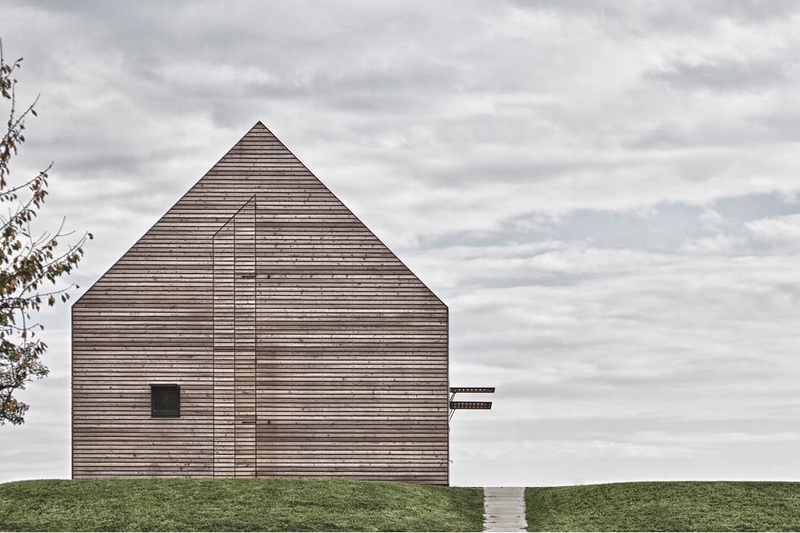 Summer house in Southern Burgenland, Austria. 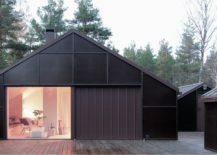 Photos by Martin Weiß via ArchDaily. Set in the Swedish countryside, this simple and rather playful triangular summer house was designed by architect Leo Qvarsebo. Images © Leo Qvarsebo via iGNANT. 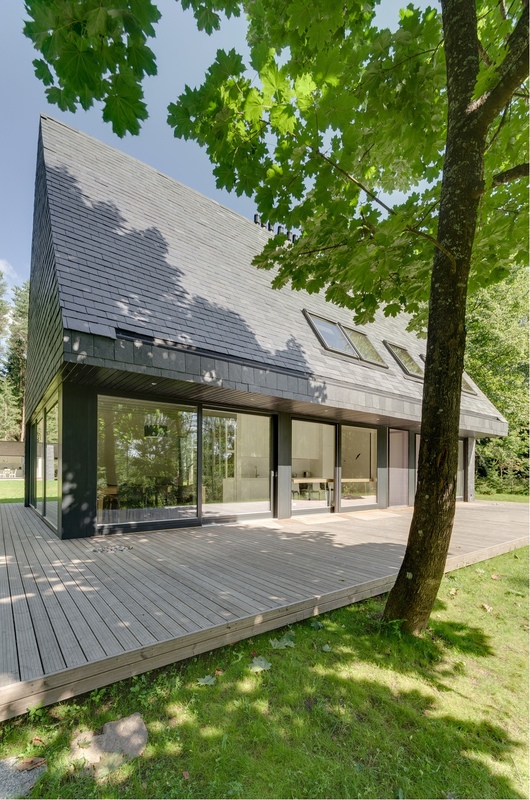 This House in Trakai, Lithuania, was designed by Aketuri Architektai. This House in Trakai, Lithuania. 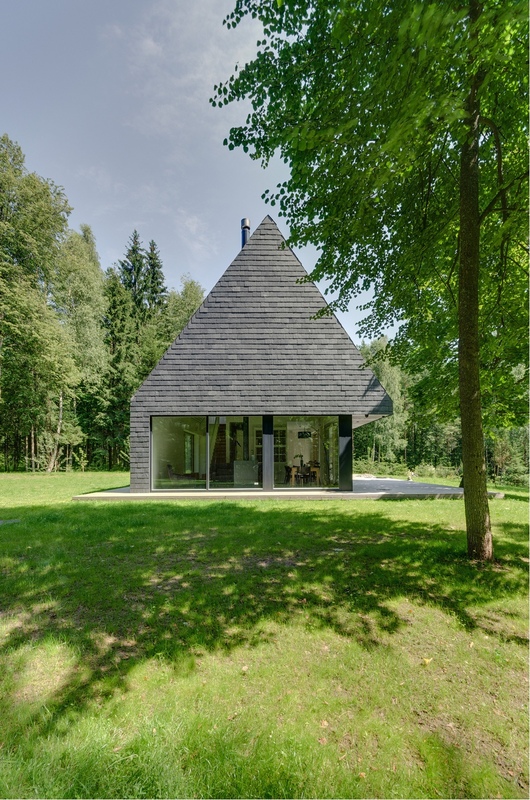 Photos by Norbert Tukaj via ArchDaily. 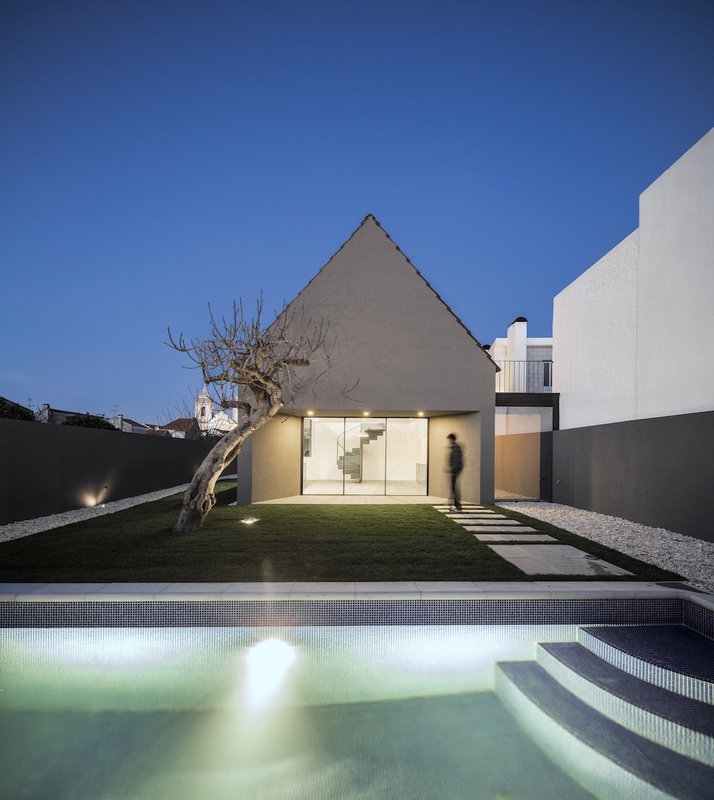 This small and handsome abode is located in Ilhavo, Portugal. 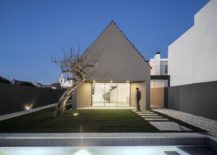 A study in minimalism, it was designed by Portuguese architecture practice M2.senos. 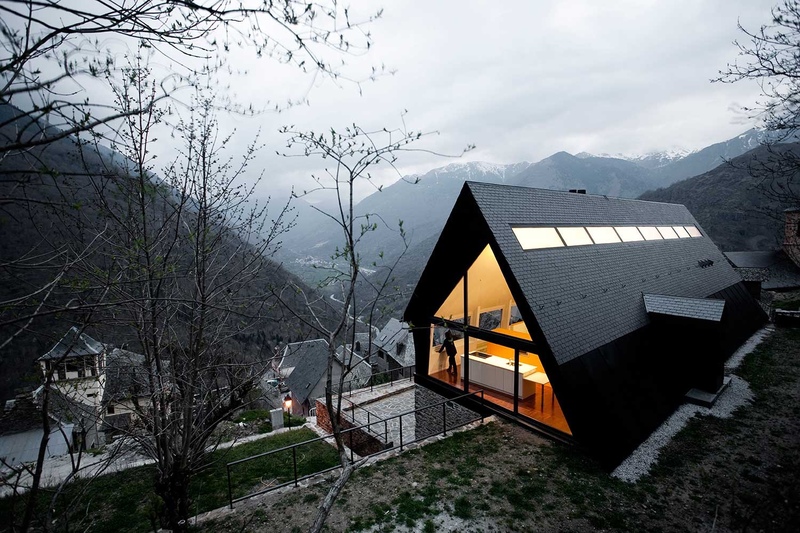 Photo © FG+SG – Fotografia de Arquitectura via iGNANT. 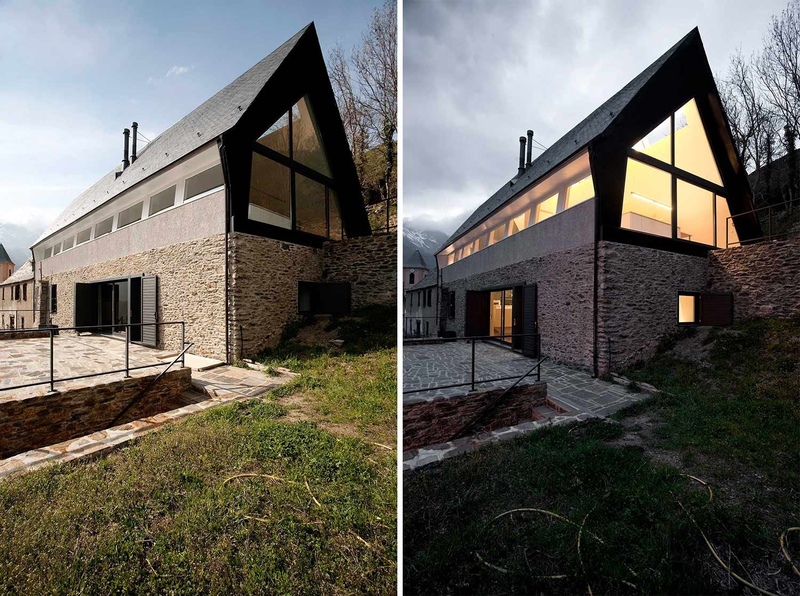 This “House at the Pyrenees” in Spain’s Aran Valley preserves and builds upon an already existing vernacular house made from dry stone, a traditional construction method in the area. 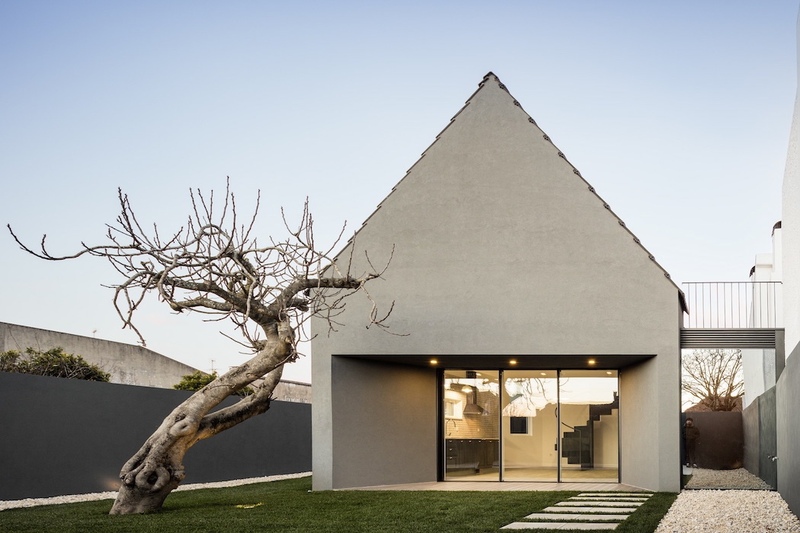 The project was handled by architectural studio Cadaval & Solà-Morales, who added the steeply-pitched roof to the old structure. “House at the Pyrenees” in Spain’s Aran Valley. Images courtesy of Cadaval & Solà-Morales.